Hydrothermally grown synthetic gems crystallize slowly out of a solution (a mix of water and dissolved elements) that has been exposed to heat and pressure similar to the conditions on Earth under which the natural gem mineral grows. Synthetic gems have the same chemical, optical, and physical properties of their natural counterparts, but are a more cost-effective alternative to a natural gem. 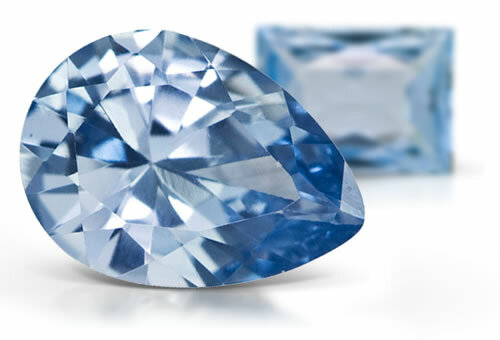 Synthetic aquamarine is typically eye clean. Due to its synthetic nature chevron, zig-zag or undulating growth zoning is apparent. Liquid and 2-phase inclusions can sometimes be scene along with nail head spicules.